Make all your flowers do "double duty". Arrange for someone with a van to transport your flowers to the reception hall after the wedding photos in the chapel have been taken. 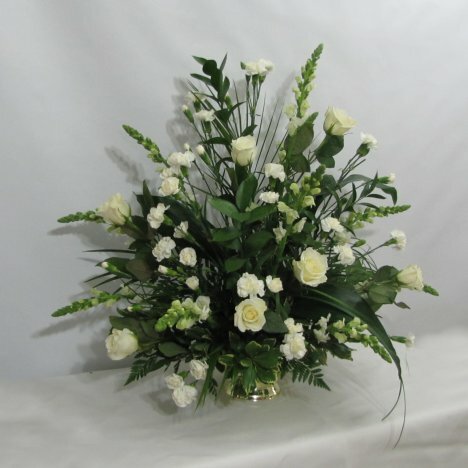 This allows you to enjoy all the flowers for the entire wedding day! 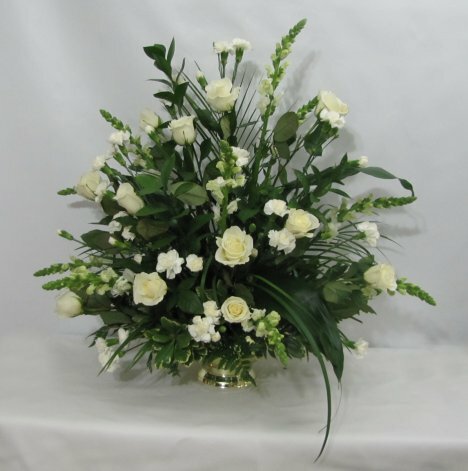 Transporting flowers can cause them to shift and move. Sometimes the longer stems come out of the arrangement. I lock all the stems into place with Floralock. It is a spray adhesive made especially for fresh flowers. 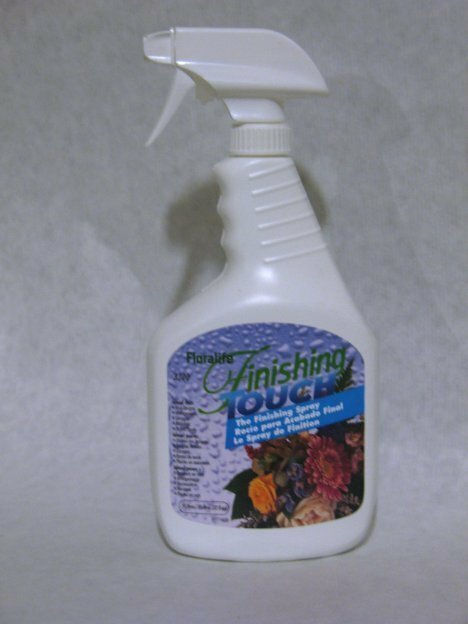 The long nozzle allows you to spray in deep among the flower stems where they are inserted into the wet foam. This "locks" them into place. Floralock should be the last step after all designing is done, otherwise it's hard to insert more stems into the wet foam. Keep the foam wet at all times. You can tip out the water for transporting, but be sure to replenish it once at the venue. Always protect the surface (especially wood!) against any water drips at the church. Water damage on pianos and wood altars can be expensive for a bride to have to fix after the ceremony. 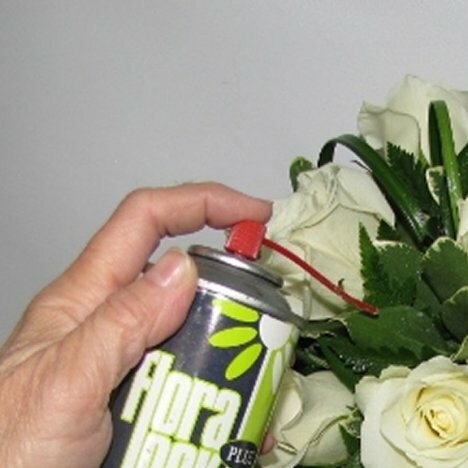 I always use a flower sealant on every floral design, including bouquets, corsages, boutonnieres and church sprays. This seals the petals and helps slow water evaporation. It's a must for DIY flowers that usually have to sit outside a florist cooler (which usually has moisture pumps INTO the air rather than removed like a home air conditioner). 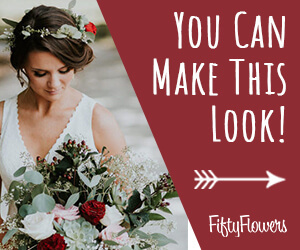 You'll love the compliments you receive when your guests find out that YOU made all those stunning arrangements and keep a lot of dollars in your own pocket! Just don't overextend yourself. 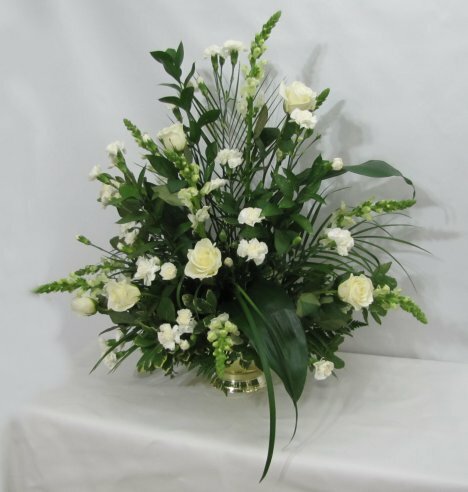 Allow plenty of time for processing flowers, greening in your arrangements and final designing with flowers. Line up plenty of help and keep your arrangements simple and doable.